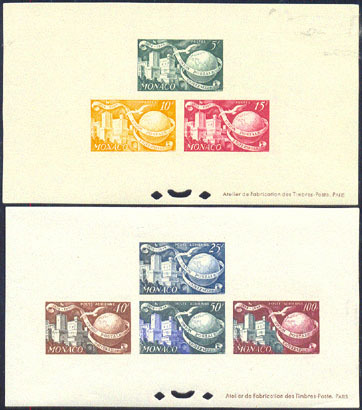 2807 EL MONACO (1949) UPU emblem*. Set of 3 deluxe sheets. UPU 75th anniversary. Scott Nos 245-6, Yvert Nos 332-3. Yvert catalog 750 Euros. 8770 EL MONACO (1949) Princess Charlotte*. 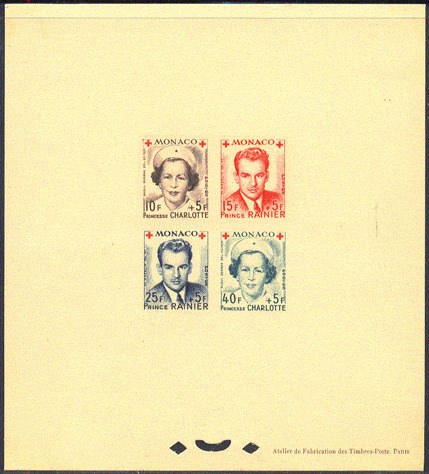 Prince Rainier*. Compound deluxe sheet. Scott Nos B96-9, Yvert Nos 3334a-337a. Yvert catalog 1500 Euros! 11429 EL MONACO (1976) Diving*. Gymnastics*. Hammer throw*. Rowing*. Boxing*. 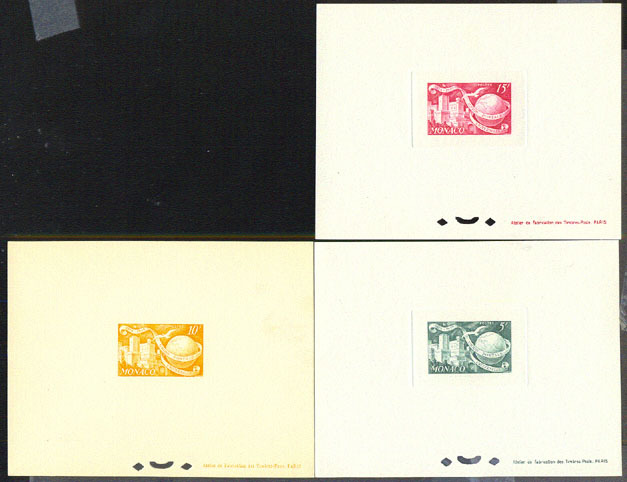 Compound deluxe sheet of 5. 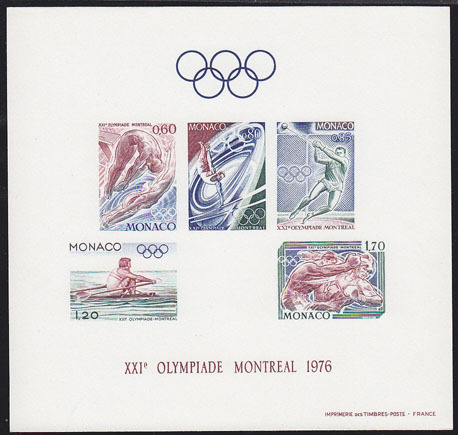 Montreal Olympics. 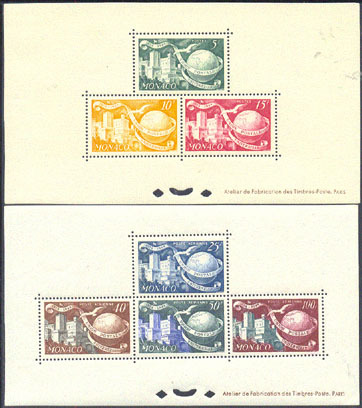 Scott No 1029a, Yvert No BF11. 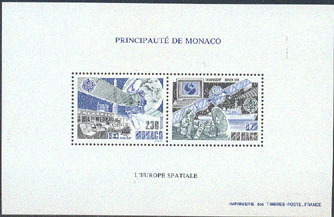 7175 EL MONACO (1991) Eutelsat*. Inmarsat*. Perforated and gummed compound deluxe sheet. Scott Nos 1760-1, Yvert Nos 1768-9.